Designed to IP66 of IEC 529 and NEMA 1, 2, 4 and 4x specifications. All plastic construction including hinge pins. Complete with stainless steel wall mounting brackets and hardware. Style A has two or three plastic latches. 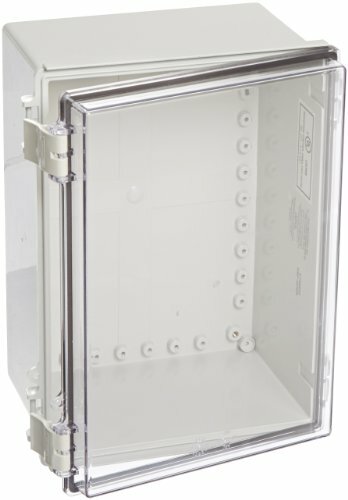 PC/PBT blended plastic enclosures are molded out of light gray material with UL94-5VA flammability rating and UV stabilized.